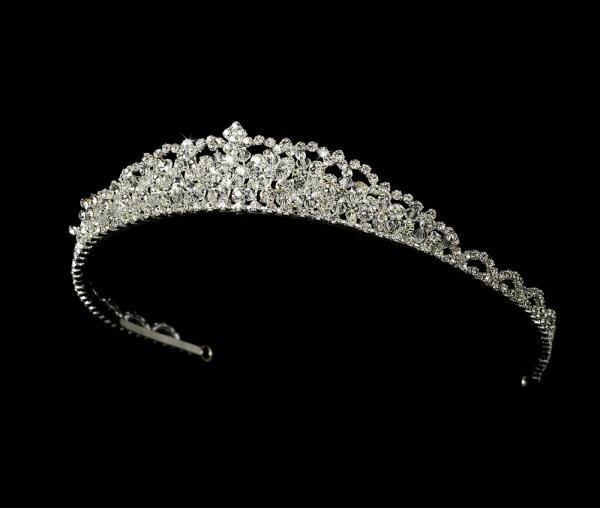 This modern tiara features a truly stunning display of layered Swarovski crystals and rhinestones. The perfect accessory to your modern wedding. The ornamented portion of the piece stretches along the entire length of the band. The piece ends with two loops that allow you to fasten it in your hair with bobby pins.